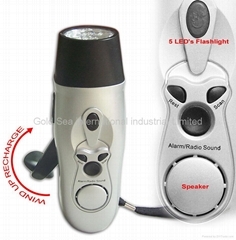 Gold Sea International Industrial Limited has been designing and manufacturing a wide range of consumer electronics. We offer you an innovative range of Computer accessory kits and Mobile phone accessory kits. 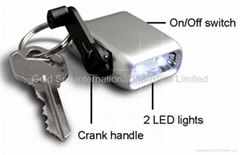 Our selection includes Hand Press LED torch, Dynamo Led Flashlight, LED work Light, Dynamo Charger, Emergency Charger, Multi-Function LED Flashlight, Promotion Gifts, USB Flash Drive, USB HUB, Usb Charger USB Massager and more. We carry out strict QC inspections to ISO 9001: 2000 standards on everything we produce. we will then ship your items to you with the CE, RoHS, UL or FCC approvals you need for distribution in your market. Visit our website to see any of our products. For more information, E-mail us today. No.25 Building, Xili Industrial Park,Nanshan District,Shenzhen,China.